and sound make this the centrepiece of any modern, professional DJ setup. The DJM-900 nexus inherits the familiar DJM-800 layout. To match, we've rearranged the connection panel to make it better and more intuitive. What's more, improved fader technology and audio circuits reduce the need for servicing and significantly increase the mixer's lifespan. A single USB connection is all you need for MIDI control for DJ software like Ableton and TRAKTOR™. Additionally, being TRAKTOR™ Scratch Certified, DVS Control becomes a breeze: connect one USB cable and control TRAKTOR with Timecode CD and/or vinyl, directly through the mixer and without using a box or time code disc. 13 Beat Effects add creative opportunities for every DJ style. New effects include Spiral, Slip Roll, Melodic and an entirely updated Reverb. 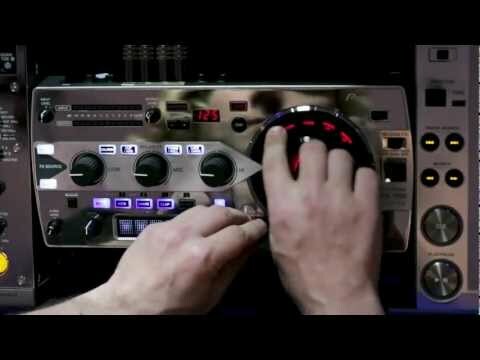 The DJM-900 Nexus expands the familiar Beat buttons with the industry-first X-Pad to engage effects and change their timing with an intuitive, touch-sensitive strip. The new rekordbox™ Quantizeeasily lets you match the BPM and beat positioning to the effects by pressing a single button – even as you adjust or bend the pitch. MIDI LFO adds in easy control of external effects. With Pro DJ Link, you can connect your laptop via a single LAN cable and use rekordbox™ software. And any compatible CDJ connected to the mixer can access rekordbox™ with a single connection. New Pro DJ Link features on the DJM-900 nexus include Now On Play indication, rekordbox™ Quantize and Cue Link, an additional channel that lets you monitor new tracks from rekordbox™ directly to your headphones. New, beefed-up effects turn creative vision into a reality at the twist of a dial. In addition to the essential Filter and Crush, the DJM-900 Nexus boasts 4 new modern effects. Noise is added by popular demand. Space reverb brings high-pass and low-pass ambiance.Dub Echo also has high-pass and low-pass control over a new tape delay effect. Gate/Comp strips back your music to the peaks, or beefs it up to seamlessly to blend drastically different productions together in the mix. The DJM-900 nexus is equipped with the same high-quality audio input and output circuits as the DJM-2000. The 4-channel 96kHz/24-bit soundcard streams all audio signals with an S/N ratio of 120 dB, delivering more accurate performance than competitor's mixers. New fader technology and P-Lock fader caps will make the DJM-900 Nexus last for even longer between services in super-tough club environments. There are no more electronics directly under the fader, making the DJM-900 nexus much less vulnerable to damage from any liquids that might be spilled over it. DJs looking for processor-intensive reverbs no longer have to gamble with the stability of laptops to get the best quality. The DJM-900 nexus' Reverb brings lush studio quality with a two-minute tail, pitched room size control and input frequency filtering for stunning results. This pitch echo with feedback looping can create psychedelic breakdowns and interludes from a single hit. A DJM-2000 favorite, this ultimate beat-mashing tool puts rhythmic slicing and dicing at your fingertips. Continuously re-sample and loop fresh chunks of audio as you slide between loop sizes on the X-PAD, in perfect time with the beat. This side-chain pitching sampler is another inspiration from the DJM-2000. Hit the X-PAD to simultaneously sample from the selected channel, and hold your finger down to trigger the sample from the peaks of the underlying music. Then slide your finger along to adjust the sample length while you change the playback pitch with the BEAT buttons. When connected to a computer, this application lets you manage your mixer inputs and outputs. On the Mixer Input tab, you get an overview of the selected inputs for each channel. Channels connected to your computer show a blue arrow indicating a digital signal; any channels that use Line or Phono inputs show a grey arrow. For multi-track recording purposes, the Mixer Output tab sets up what you want to record. You can select Cross Fader A/B, MIC or REC OUT. Post CH Fader recording will include all fader movements, Beat Effects and Sound Color FX adjustments. In this tab, you can also select Timecode to be sent to any DVS software.